The Andaz West Hollywood may look like any other boutique hotel on the Sunset Strip, but if those walls could talk they would share some of history’s rowdiest rock ’n’ roll stories. It was there that Robert Plant reportedly shouted, “I am a golden God!” from a balcony overlooking the Sunset Strip (inspiring the scene from “Almost Famous”). Rolling Stones guitarist Keith Richards and Who drummer Keith Moon trashed rooms and joyfully tossed televisions from windows. A 1976 interview with Phil Lynott and Scott Gorham of Thin Lizzy took place in Room 1012. Rodney Bingenheimer, the famous radio disc jockey who was the subject of the 2003 documentary titled “Mayor of the Sunset Strip,” was a daily visitor to the Riot House coffee shop during his tenure with KROQ. The hotel lobby was a home base for countless rock groupies (most of them grossly underage), who would hang around in hopes of “meeting” a star. Mr. “Rip It Up” Little Richard lived at the hotel off and on during the 1980s and 1990s. And a poolside interview in the 1984 film “This Is Spinal Tap” was filmed on the rooftop. The films “Almost Famous,” “Rockstar” and “Crank” also feature the hotel. 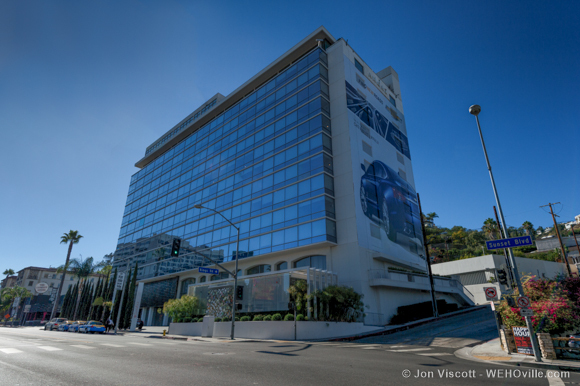 The 239-room hotel at 8401 Sunset Blvd. at Kings has been known by many names over the years. Opened in 1963, it was originally named the Gene Autry Hotel after its first owner. It was sold to the Hyatt Corporation in 1966 and renamed the Continental Hyatt House. 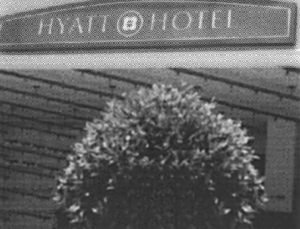 In 1976, it was re-named the Hyatt on Sunset, then the Hyatt West Hollywood in 1997. Finally in 2009, it became the Andaz. However, it was during the 1960s and 1970s when rock music was in its golden age. The hotel was first called the Riot House during this time. 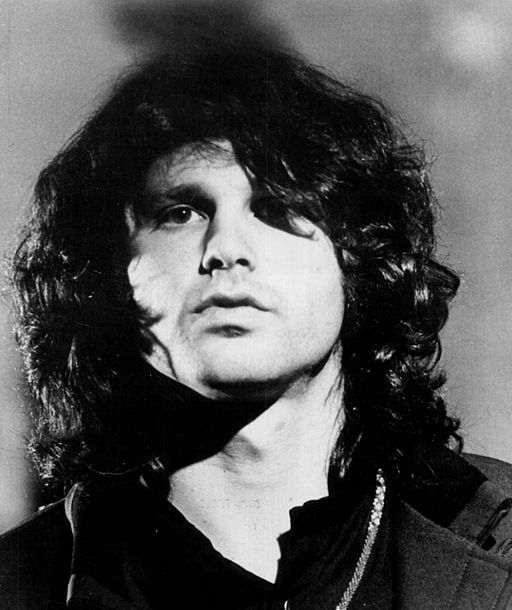 It was frequented by heavyweight groups like The Rolling Stones, The Who, Led Zeppelin and The Doors, all working hard to set the industry standard for decadence. 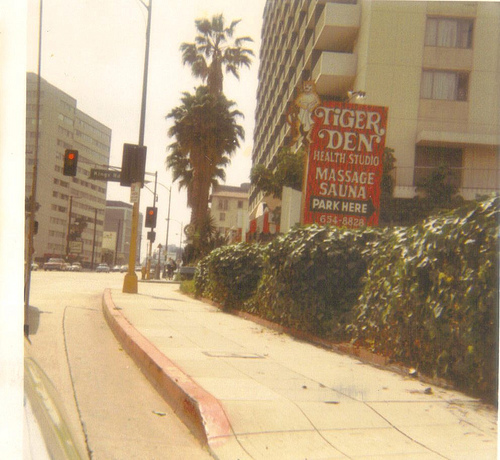 Jim Morrison, a guest at the Riot House from 1970 into 1971, was moved to the back side of the hotel after dangling from the 10th floor window over Sunset Boulevard — causing a scene similar to the one in Oliver Stone’s biopic of the band. Stone’s movie was filmed at the Chateau Marmont, where Morrison actually fell from a balcony and allegedly broke two ribs. “Led Zeppelin did much to bring about this nickname. The lads of Zeppelin would typically rent out several entire floors for their antics,” wrote rock photographer James Fortune. Keith Richards of the Rolling Stones and Keith Moon of The Who, took the concept of “kill your T.V.” to great heights, reportedly dropping tellies out of Riot House windows, just for kicks. Chad Zachary Mulchin is a Los Angeles-based creative writer and musician. His primary focus is on art-inspired journalism, artist interviews, and reviews of live performances.